The guys at Fountain Porter have finished renovations, gone before two civic associations (they’re on the border), unpacked the computer system and they’re ready to open Tuesday. In the former 1601 space at 10th and Tasker, the bar aims to please the neighborhood in both taste and wallet. Owners Evan Clancy and Scott Pawlicky, who worked at Kite and Key near 20th and Callohill, will be serving small plates, “not pub grub.” Menu isn’t finalized but think meat and cheese boards, local pickles, etc., and nothing fried for now, all for $1.50 to $12. They’re offering what the neighborhood has come to expect in terms of a varied beer program, with 20 taps, no bottles or cans. But they’ll also have a fully stocked bar and what they say will be a selection of good, affordable wines, which is just what the neighborhood needs: all kinds of decent booze in one place (not that there aren’t others, but it’s always nice to have options). They’re starting with 43 seats including the bar for now, but that is evolving. They open at 3 p.m. Monday to Friday and 11 a.m. on the weekends, closing daily at 1 a.m. for now. The muted palette of the decor is an improvement over the orange walls that graced 1601, and they’ve added a counter along the window. Certainly, this seems a worthy addition to the neighborhood. Good luck, guys. You’ll be seeing me often. Editor’s note: By the way, folks, we just noticed this was our 100th post and we’re closing in on 40,000 page views in just over two months. Thanks for making this such a success, and to keep things rolling, go to our Facebook page, and “share” this post with all your friends. 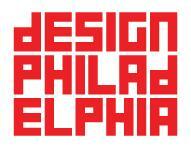 The 3rd annual Design Philadelphia festival is bigger than ever, and East Passyunk has been designated one of three design districts in the city. That means there will be about a dozen events, discussions and tours between today and Sunday focusing on design, sustainability and good ol’ city livin’. South Philadelphia’s charm and unique character has contributed to its evolution today as a great place to live, work, visit, eat, drink, shop and explore. Rich in culture and home to an influx of creatives, the neighborhood has become quintessentially Philadelphian. Sounds about right. 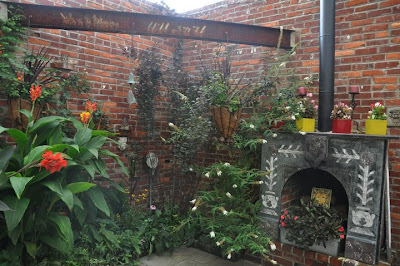 Some of the highlights include a a symposium on green wall design at Urban Jungle and a look at how the smallest grocery store in the known universe, Green Aisle, manages to seem so much bigger. 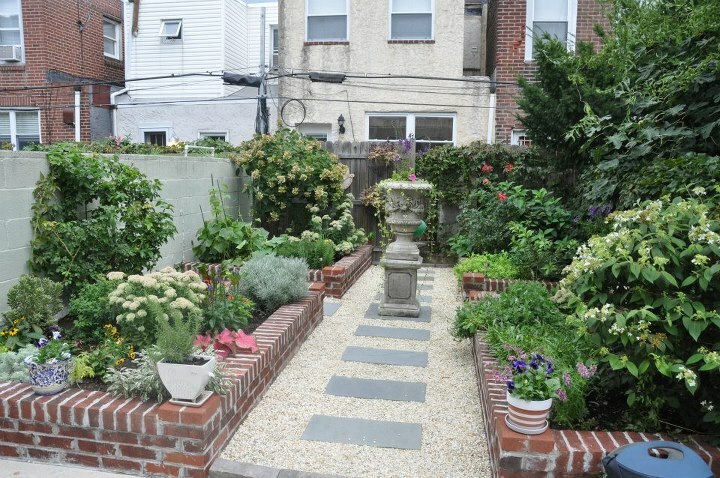 Plus, the Passyunk Square Civic Association’s annual home tour on Saturday has been scooped up as one of the official Design Philly events. Check here for a good rundownof the South Philly dates and times.The event also coincides with Second Saturday, so this weekend should see quite a lot of people out and about. Good thing we have valet now. The group Philadelphia Flea Marketsis going to do what their name says they do on East Passyunk Saturday from 8 a.m. to 6 p.m. The parking lot across from the Cantina will play host to much of the market, but it will also run up the sidewalks on Passyunk to Tasker and part of 12th Street. Originally, it was only supposed to be in the parking lot, but Renee Gilinger at the EPA BID said they expanded it because they attracted so much interest. The avenue will not be blocked off to car traffic, though. Rain date is Sunday. Organizers are expecting more than 60 vendors “featuring antiques, collectibles, vintage furniture, jewelry, clothing and accessories, glassware, pottery and much more!” Exclamation point is theirs. 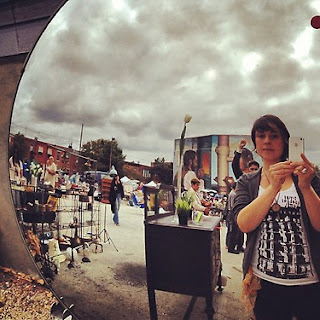 Also, right down the street at Broad and Snyder, the Lower Moyamensing Civic is hosting its own flea market and fair outside South Philly High on Saturday. Check the Facebook invite for more info. 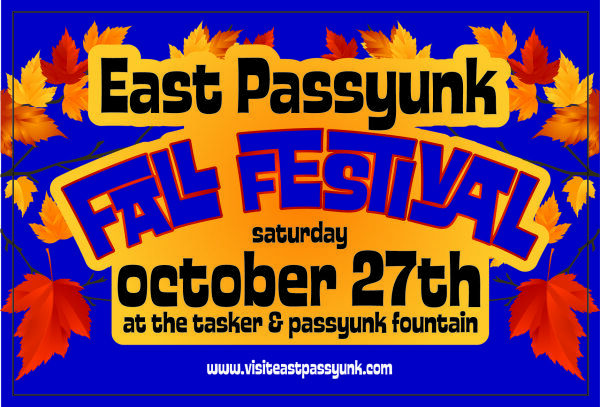 Since East Passyunk is the land of street fairs, we might as well remind all you artsy types to register for the fall festival,which we told you about this week. 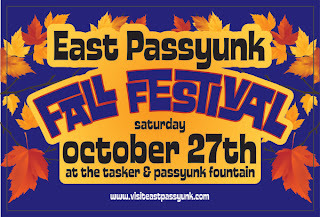 The East Passyunk Business Improvement Districtis accepting applications for artists to join the fall festival, which kicks off Saturday Oct. 27. The party goes from 10 a.m. to 4 p.m. and includes activities for the kiddies early on, including a little costume parade for children and dogs (seriously). Seasonal beer and live music will kick in for the big kids as the day goes on. Deadline for artist applications for the craft portion of the event is Saturday Oct. 6. Table fee is $40, spaces are 10x10ft. Check here for a little more info. If you’re an artist, click Recommend at the bottom of this post to let all your artist friends know about it. And now, to get in the spirit of things, please enjoy this craft-related (but otherwise completely unrelated) favorite from Leslie and the Lys. It’s a great way to waste three minutes at work.